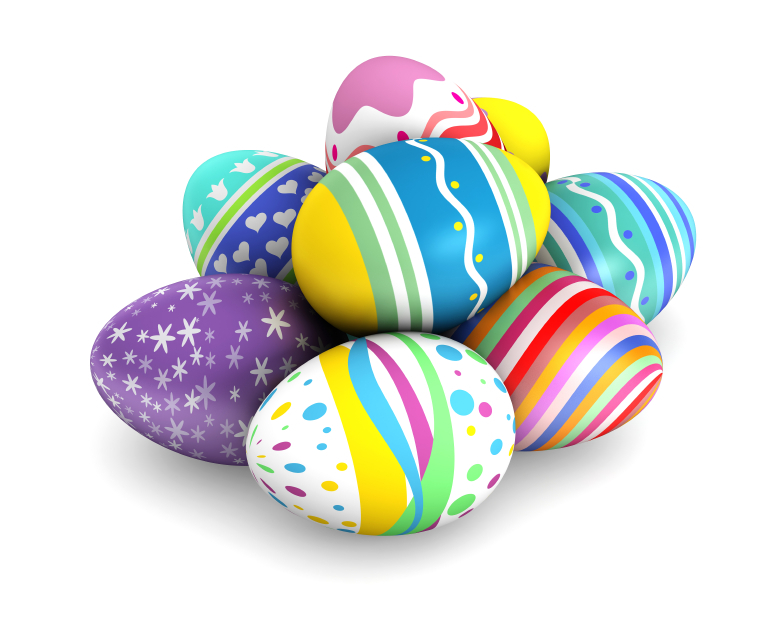 It won’t be long till Easter is on our doorsteps. 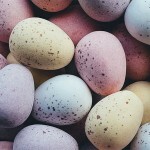 While the traditional egg hunt in the garden is always a bunch of fun, sometimes a more grown up treat is appreciated. 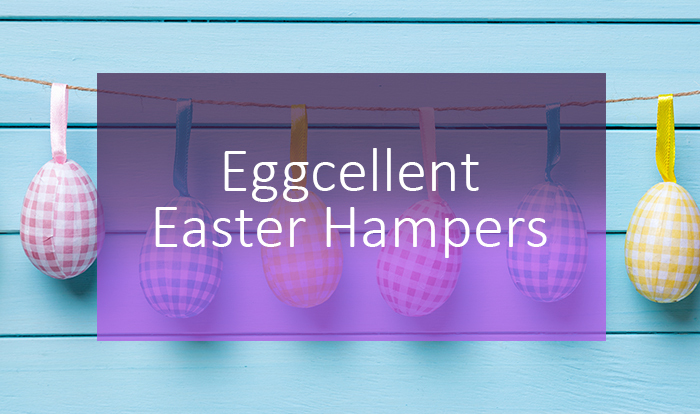 Our Easter hampers have all the fun of traditional Easter eggs, with an extra touch of luxury. 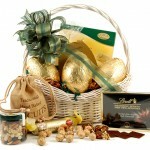 Show somebody you’re thinking of them this year with our fantastic selection of Easter gift baskets and hampers. Take a look at some of our most popular ones below, or shop the full range here. 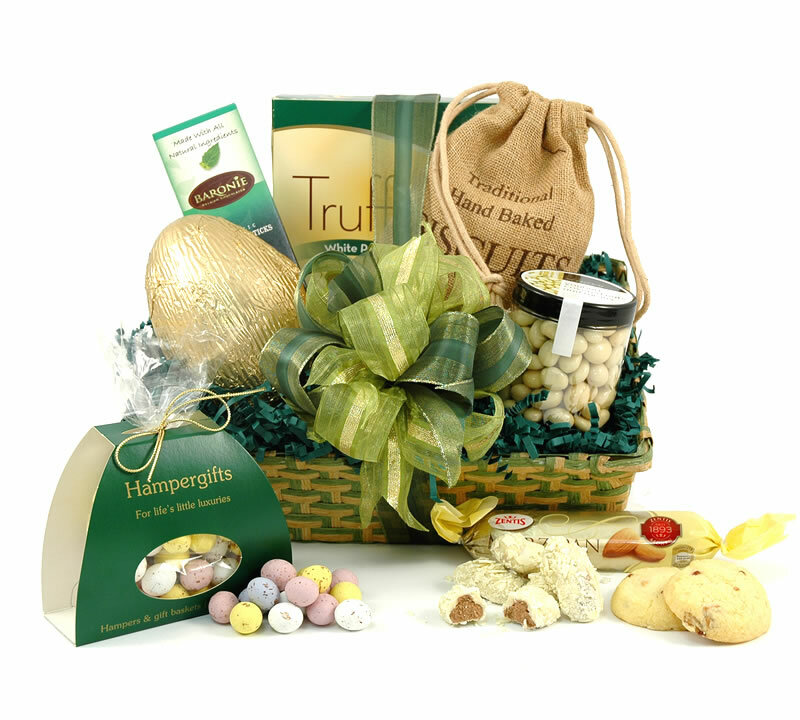 Brimming with Easter delights, our Easter Treats Basket is the perfect gift for a sweet toothed friend. 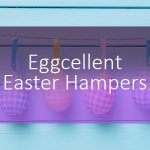 Along with three delicious chocolate eggs, there are yummy treats like crumbly fudge, cookies, caramels and honey roast peanuts. There’s lots more to discover in the handmade sea grass and wood basket. 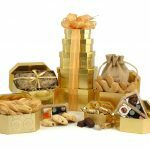 Add a personalised gift message too! 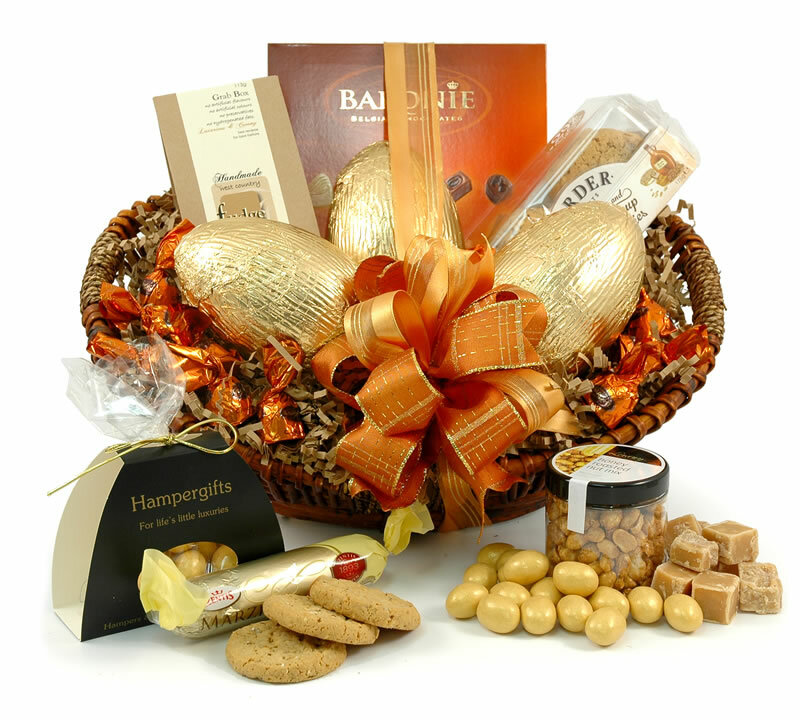 One of our most popular Easter hampers, the Sweet Easter Surprise has it all. 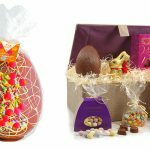 Containing a big 130g chocolate Easter egg, lemon butter cookies, flaked truffles and a marzipan loaf (among many more!) this basket full of goodies is the perfect gift for anybody who loves all things sweet. 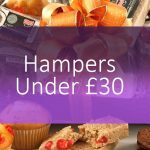 Nestled inside a beautiful green striped straw basket and hand tied with an emerald ribbon, this hamper won’t fail to impress. Totally eggnormous, this giant egg is the perfect big gesture. 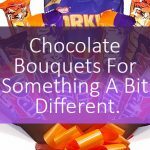 It might be a tad difficult to hide subtly in the garden, and the lucky recipient will want to tuck into it immediately. 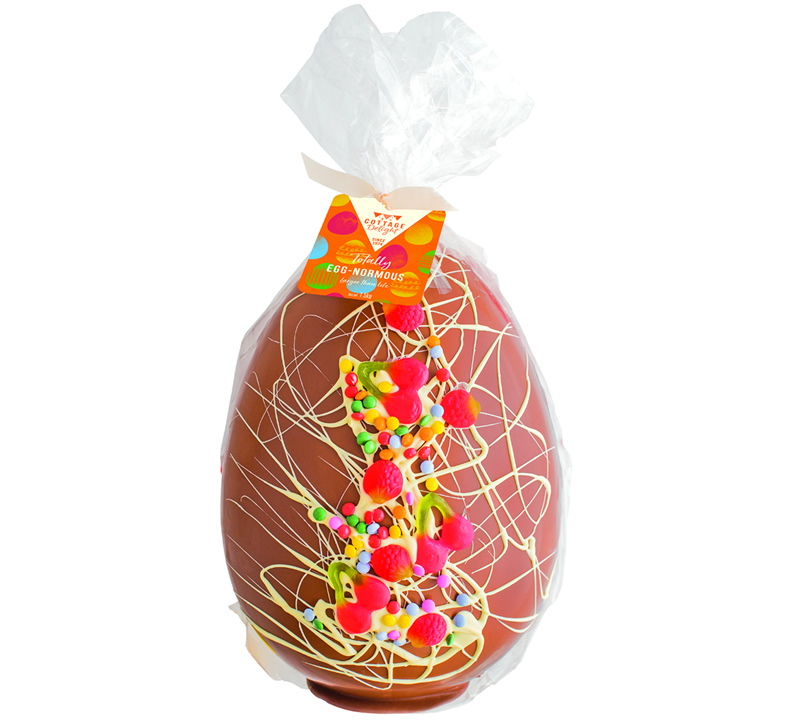 Weighing an impressive 1.5kg, this giant Easter egg is perfect for sharing around. The chocolate shell is drizzled with yummy white chocolate, candies and cherry flavoured gummy treats. Now who could say no to that!